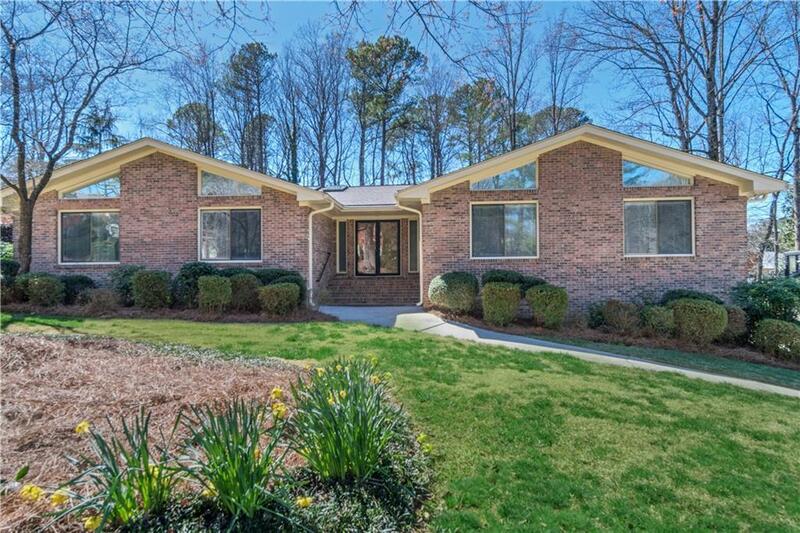 Beautiful Ranch in Dunwoody Club Forest & Vanderlyn Elementary on a Quiet Cul-de-Sac! Open Floorplan Great for Entertaining! The Home has Many Beautiful Updates- New Eat-in Kitchen w/Tons of Storage, Lg Living Room & Attached Dining w/ Vaulted Ceilings-Perfect Spot for Entertaining. Sun Filled Den w/Built-ins, Gas Burning Fireplace, Vaulted Ceilings & Access to the Large Deck overlooking Lg Flat, Fenced Backyard w/ Fire Pit and Covered Deck Below. Lovely Master w/Vaulted Ceilings & Walk-In Closet. Finished Basement w/ Unfinished Space. Directions: From Mount Vernon Rd- Left On Forest Springs Drive (Cross Over Trowbridge And Home Is On The Left). Georgia 400 To Exit 5 - Dunwoody. From Abernathy Make A Left On Mount Vernon Rd Continue Through Dunwoody Village. Left On Forest Springs Drive And The House Will Be On Your Left.